Designed for comfort built for abuse. For over 65 years, STEINER-optik in Bayreuth, Germany, has set the bar in premium long-range optics. Over 460 exacting steps ensure rigorous quality throughout design and manufacture. Relentless innovation creates technologies like the n2 injection system, laser protection filters, steiner nano-protection and diamond night lens coatings. Constant user feedback, from battlefields to birding, keeps performance state-of-art. No optic will serve you better . Military Series: Built to perform in critical situations when the success of your mission and your life depends on it. Hunting Series: Built to perform in any hunting condition, when your trophy of a lifetime finally offers a clear shot. Tactical Series: Designed for demanding target sport shooting as well as demanding professional situations. Ranger 1-4x24 is the driven hunt specialist with a wide field of view 37 to 9 m at 100 m. With red dot to ensure quick target acquisition. The ideal rifle scope also for big game hunting. True 1x magnification allows shots with both eyes open. 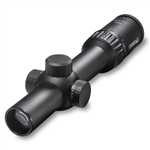 Ranger 2-8x42 is an elegant all round riflescope. Suitable for daytime hunting until twilight. Universally applicable to almost all rifles for any purpose. The new Steiner GS3 game sensing scope utilizes exclusive CAT (color adjusted transmission) lens coatings to amplify contrast in the peak human vision sensitivity range. The optimized contrast effectively separates game from leafy or shadow-dappled backgrounds, exposing your target to a clean, accurate shot.